Mark Billik founded BeCore in 1999 and was quickly named “Entrepreneur to Watch” in The Sports and Business Journal. Mark began his business by building a sports competency that was launched by creating the first professional in-line skating tour in the United States, Europe, Latin America, and Asia. 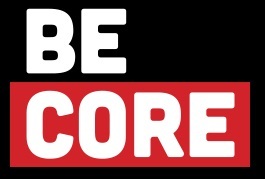 From there BeCore was on the map and began consulting with major corporations like Red Bull, IMAX, Nike, Microsoft and Sports Illustrated on the development of experiential programming. With the BeCore motto “Whatever It Takes,” Mark strategically built his business around the principles of passion and service and has expanded the agency offering which is now an award winning, full service agency. Mark is a graduate of the University of Hawaii with a degree in Business Administration.